Pondering the way that retired or obscure fast food menu items create cult followings. 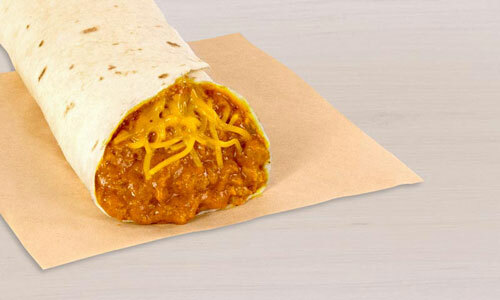 Had a Taco Bell Chili Cheese Burrito lately? Consider yourself lucky. The number of McDonald’s locations that are selling the McRib in 2018, out of the 14,000 locations nationwide. As it turns out, through our masterful sense of timing, I was able to put together this article just as the McRib, the ultimate seasonal sandwich, was returning to the McDonald’s menu once again. As a 2011 article in The Awl, the late great online publication, famously pointed out, the McRib may be the world’s greatest example of manufactured scarcity, a sandwich that appears to return just as pork prices are in the midst of a major dip. But there’s plenty of room for actual scarcity in fast food—and to highlight that point, I give you the Chili Cheese Burrito. The foodstuff, whose broad appeal is right in its name, is not an item on the menu of every Taco Bell location in the country, which belies its roots. It is not a Taco Bell original, but was acquired through another chain, Zantigo, in the late ‘80s, and its popularity tends to be stronger in areas where Zantigo was once located. The Chili Cheese Burrito is still out there, but you have to look really hard to find it, due to the fact that it’s considered an optional item for chains to carry. It’s basically nonexistent on the East Coast, and even in the Midwest, where it’s relatively common, it’s a crapshoot as to whether your nearby store will have one. 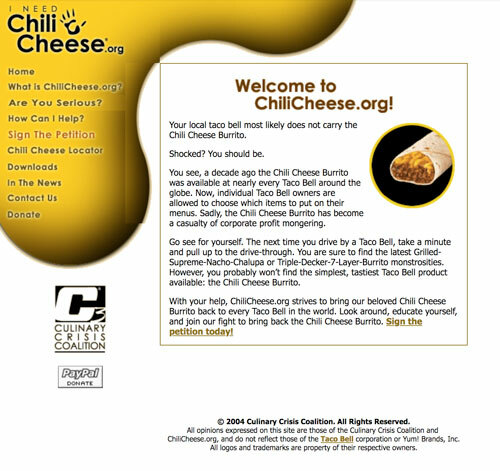 ChiliCheese.org, as it looks today. The source of its power is in the Midwest. Fortunately, the job of confirming whether a store sells one is easy these days, thanks to a website called ChiliCheese.org, which is a repository of information related to the deceptively simple burrito. The website, thanks to a recent upgrade, features a detailed map highlighting roughly every Taco Bell in the country—and spotlighting the ones that have this burrito, which is obscure enough these days that many of the chain’s current employees might not even know what it is. Which sometimes proves a problem, as the site’s founders, including Steve Gomez, are frequently calling up stores to ask if they have it. “We try to call 10 to 20 locations a day, during the weekday, each of us,” he told me in an interview. Gomez, a cofounder of the site who handles its public relations and serves as its software developer, explained that the idea for the coordinated campaign, a side project if an extremely sophisticated one, came up much in the way one would expect: During a random office discussion with a group of coworkers. “We were were just sitting around just talking about our favorite fast food items that we used to love when we were kids in high school or something like that,” he explained. And once the Chili Cheese Burrito turned into a topic of discussion, the idea of launching a campaign to help revive the classic burrito came to life. There was just one problem: It was 2004, and social media was in its infancy—that’s right, this site is almost 15 years old. “When we started out, there was no Twitter or Facebook or anything like that,” he noted. But they did have a team of folks who knew how to market things, as well as Gomez, a developer by trade. Even the initial campaign was elaborate: The site included a petition, and the organizers even came up with a clever name—the Culinary Crisis Coalition—as well as a detailed mission. To keep up the illusion that it was bigger than it actually was, the team even registered McRib.org to make it look like the made-up coalition had multiple foods it was trying to save. But even while the site drew a lot of attention, Taco Bell leadership at the time showed no interest in bringing the burrito back on a national level, even though the campaign received a lot of early notice, including many mentions in the media. Gomez even noted that the company once responded to the campaign in an indirect way, suggesting through an interview with the Riverfront Times—a story Gomez himself was interviewed for—that the campaign was futile. 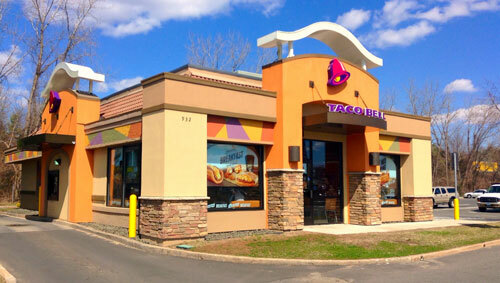 “We have about 50 million customers a week at our 7,000 restaurants worldwide,” Taco Bell’s director of public relations, Laurie Schalow, stated. "Unfortunately, sometimes we have to remove some of the lower-selling items to make room for newer items." Is Taco Bell ready to turn a Chili Cheese corner? This claim is definitely true, and it means that the Chili Cheese Burrito is far from Taco Bell’s only under-the-radar icon of culinary achievement. Some of the most famous ones include the Enchirito, which doused a burrito in red sauce, evoking an enchilada-type appeal; Fully Loaded Nachos, which literally shoved a bunch of nachos inside of a taco salad shell; and the Beefy Crunch Burrito, whose use of Flamin’ Hot Fritos gave the burrito a unique taste. But the Chili Cheese Burrito faces challenges that most of Taco Bell’s limited-time options do not, and it comes down to the fact that the saying about all Taco Bell food items relying on the same 10 ingredients is more or less true: Unlike the Cheesy Gordita Crunch or the Enchirito, which are simply reimaginings of basic elements of the Taco Bell ingredient list, the main ingredient of the Chili Cheese burrito, chili, isn’t used anywhere else in Taco Bell’s menu. Which means that the seasoning it uses has to be specially ordered. Which means that the concoction of seasoning and beef is taking up a spot on the production line that can’t be used for anything else. Which means the burrito has to sell at a certain rate to maintain its place on the menu. Which means it’s hard to make it part of a “secret menu,” like the Enchirito has at times survived on. On the other hand, perhaps the campaign for the Chili Cheese Burrito was just too early. In recent years, Taco Bell has been much more willing to revive retired products than some of its competitors. The Cheesy Gordita Crunch, which combined a soft gordita shell with a hard taco, was such a popular limited-menu item that it eventually became a permanent part of the chain’s identity. And the Beefy Crunch Burrito turned into a meme a couple of years ago, thanks to a social media campaign of its own called the Beefy Crunch Movement. Thanks to a five-year campaign led by Richard Axton, the burrito eventually made its reappearance as a limited-time item in 2016 and appears on track to stick around as a permanent menu item. Perhaps it’s because of the power of social media that the Chili Cheese Burrito still has a chance to return to prominence someday. Gomez noted that ChiliCheese.org embraced social media relatively late, but once it did, it finally started making headway. 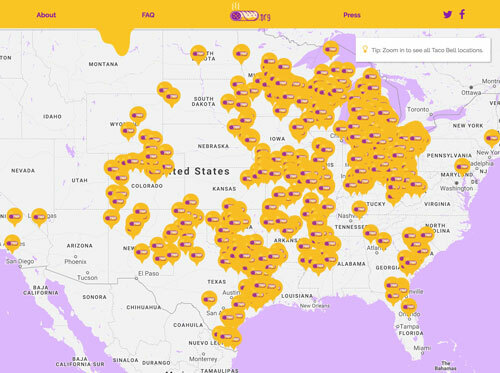 Earlier this year, Taco Bell did something unexpected: It filled out the website’s map, and said so on social media, basing its data on actual shipments of the chili seasoning to stores. “It was a huge victory just to be acknowledged by Taco Bell,” Gomez noted when the company reached out to offer updates to the map. Gomez stated that the campaign, already active off and on for more than a decade by this point, spoke to a certain level of frustration—and the copy, always a strong point for the campaign, was reflecting it in the years before Taco Bell finally gave them some direct notice. And that’s the advice he gives to anyone that puts on a similar campaign of their own—don’t give up optimism even as your campaign slogs on. “You catch more flies with honey and vinegar,” he stated. McDonald’s McStuffins. In the early ‘90s, McDonald’s produced its own take on the Hot Pocket, putting different kinds of flavored meat in French bread. (They even made commercials.) The product—which was sold in teriyaki chicken, barbecued beef, pepperoni pizza, and cheesesteak flavors—didn’t last, but effectively rekindles the Hot Pocket’s roots as a restaurant food. Wendy’s Stuffed Pita sandwiches. With market research in its pocket that pitas would appeal to women, the fast food chain decided in the ‘90s it would introduce a variety of pitas to its menu, including chicken Caesar, ranch Chicken, Greek, and garden veggie. The stuffed pitas faded from view after about three years, though the chicken Caesar still has something of a fanbase, leading to copycat recipes. Subway’s Orchard Chicken Salad Sub. Usually, if a fast food chain is going to add fruit to its menu, it’s either going to be highly processed or done begrudgingly. But not in the case of Subway’s Orchard Chicken Salad Sub, a sandwich dating to the early 2010s that featured apples, raisins, cranberries, and celery along with the chicken. It hasn’t reappeared in a number of years, but it’s up there with the falafel footlong on the list of most interesting Subway experiments. The number of months it took Wendy’s to test out and distribute its Frescata sandwiches, an attempt at high-quality cold sandwiches with fancy bread. The company tested 24 different varieties, but removed them from the market slightly more than a year after rolling them out nationally. Part of the reason the sandwiches, which were heavily promoted, didn’t stick around? They were apparently much harder to make than burgers. The problem with fast food items that don’t quite make it is that their reintroduction is a major risk even considering their prior success, and even accepting the risk might not be worth it. To offer an example, Wendy’s had a truly buzzworthy menu item in the summer of 2013: The Pretzel Bacon Cheeseburger, a well-received combination of three things people truly love: Bacon, burgers, and pretzel bread. To underline the point, Wendy’s even had Nick Lachey sing love songs about it, and those love songs were derived entirely from customer tweets. The company reportedly sold 50 million pretzel sandwiches in 2013 alone. But it was a limited-time item, and when it was gone, it was gone—until Wendy’s decided to bring it back in 2014, putting it on its permanent menu in August of that year. It seemed like all the elements of a social media-driven recovery were there. But less than a year after making that call, it was off the menu again, having failed to make an impact a second time around. Consumers are fickle and their tastes evolve, and fast food is very much a mainstream play—the appeal of fast food doesn’t often allow for cult followings along the lines of an obscure band that only a few people have heard of, even a fake one. You can’t rediscover a piece of fast food that was unappreciated in its time, unless you were looking to give yourself food poisoning by eating a moldy burger. The food that sticks around has to hit a certain threshold of success or off the menu it goes, its past glories forgotten. In that light, the Chili Cheese Burrito is the perfect cult following food. It’s mass-manufactured like everything else, seemingly forgotten by many, but it sticks around in certain pockets because just enough people love it in just enough places, and, unlike other menu items, it’s simple enough that some store owners feel compelled to keep it on the menu. Consider: The Breezewood Taco Bell has a Chili Cheese Burrito. It’s a perfectly good Chili Cheese Burrito. But it’s the same Chili Cheese Burrito you get 80 miles east in Harrisburg or 400 miles west in Ann Arbor, Mich. And it’s served in a place with the same purple, dusty, rose-teal decor, too. There’s something comforting about consistency, even when the consistent item can’t be found everywhere, when it has to be sought out or even, in the case of this magical burrito, mapped out. But at what point does the cult following overshadow the culture?